Two helicopters which were once used for Royal Navy Search and Rescue will be put back in action again with help from HeliOperations. HeliOps are proud to be featured on the Royal Naval website, unveiling our partnership with the Ministry of Defence. 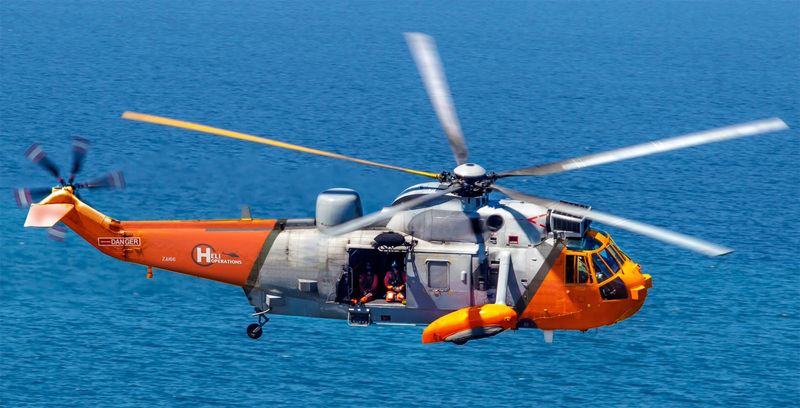 The Ministry of Defence have leased us two Sea King Mk5 aircrafts which will be used to train aircrew in the German Navy in search and rescue skills. This isn’t the first time these Sea Kings have operated in a life-saving role, previously having been used by 771 Naval Air Squadron in rescue missions across Cornwall. These aircraft that were once a familiar sight in the Cornwall skies will look a lot different than the previous times they were in use. Having recently undergone a full respray to our own feature HeliOperations colours and logo. The Sea Kings will be operating out of our Portland base in Dorest until September 2018, so keep your eyes on the skies and see if you can find one of our HeliOps branded aircraft flying by.